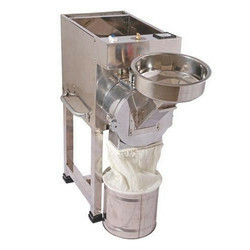 This Dry and Wet Pulverizer Machine is used to Grind food items such as, Wheat, Rice, Pulses, Spices etc. And can also be used for making Wet paste such as Daal, Rice etc. Cookman Cooking Equipments Pvt. Ltd.
Our well-facilitated infrastructural unit enables us to make a highly exceptional quality of Wet Masala Pulverizer. Multipurpose pulverizer- 2 h.p, 3 h.p & 5 h.p. Dry & Wet Pulverizer Multipurpose Machine is provided with four arm fixed fan blade (Rotating) to grind all wet material like Vegetables, Herb’s, Roots, Leaves, Wet Dal, Rice and Chuttney etc. Our gamut of Wet Pulverizer is specifically used in food and pharmaceutical industry to grind large amount of food & chemical products safely and hygienically. Fabricated using premium quality raw material, our gamut meet various industries standard. We have for our client commercial multipurpose dry and wet pulverizers that have hardened as well as fully machined & balanced beaters. These grinders are popular for continuous crushing and suitable for wet-pulpy and dry crushing. 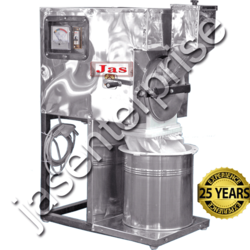 Offered in compact size multipurpose dry and wet pulverizer do not require too much space. Weight: 21" X 20" X 32"